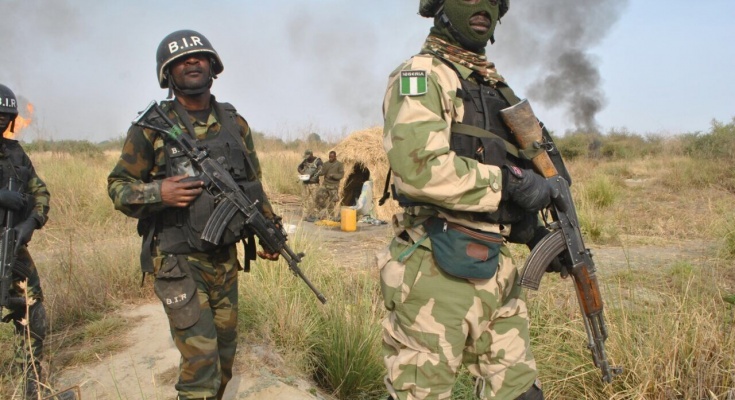 The Nigeria Army has launched Operations Harbbin Kunama III to cover forest areas of Katsina, Sokoto and Zamfara States, in a bid to end activities of bandits. He said that the current threat assessment of the three states necessitated the rescheduling of the exercise and the expansion of the Nigeria Armys mandate to cover forest areas serving as safe havens for the bandits. He said It is on this premise that `Exercise Harbbin Kunama III is planned to mitigate the current threats to security challenges bordering the region, specifically Katsina, Sokoto and Zamfara States. The operation was designed to decisively eliminate all forms of banditry activities with a view to ensuring lasting peace in the affected areas. He said the exercise was also to complement the existing Operation Shara Daji security architecture already put in place in the affected state. He assured that The Nigeria Army will carry out this constitutional mandate professionally and within the ambit of the law. The Nigeria Army will continue to seek the support of civil authority to combat criminality and banditry. He therefore commended the efforts of the state governments for being wonderful hosts and in providing needed supports for army activities in their domains.